As we operate the dive center in Morotai more than 18 months, we think that we need to give something special to Morotai. Our capability to conduct marine life research bring us to prepare something related to this: Marine Reef Fish Guide. This book is intended to help out our guess to spot the fishes while they dive, aid the advance open water student diver candidate during their Fish Identification Project, as well as supply the incoming researcher that conduct their research in Morotai. This book will be given to those who interest in researching reef fishes in Morotai for free (of course it should be supported by formal letter from the research organization). 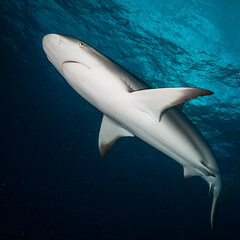 Gerard Allen and Mohammed Adrim (2003) indicates approximately 540 Reef Fish Species has been identified in Indo-West-Central-Pacific Area, the area sparse from north of Morotai to the Ayau Island in Raja Ampat. During 18 months of operation we estimate between 500 – 800 reef fish species can be found in Morotai Reef’s Garden. As the first phase of our progress we currently identified 100 of them and to be included in this first edition of Morotai Reef Fish Guide. It is expected that this first edition will be followed by newer edition that contain at least 300 reef fish species in Morotai. Our effort to provide more than 300 reef fish species photograph is currently in progress. 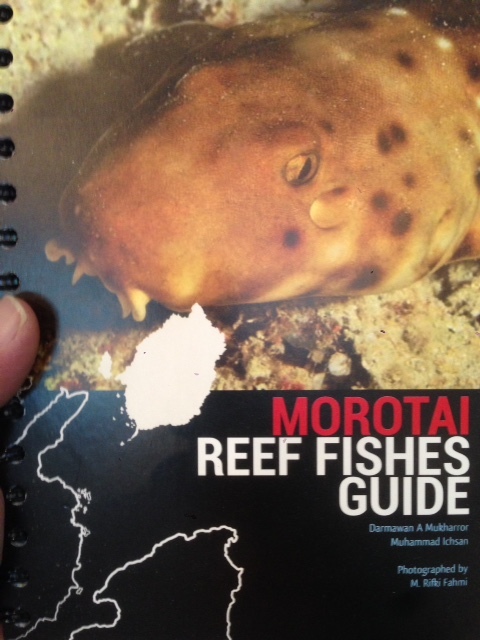 Your visit to Morotai will help the next edition of this Reef Fish Guide.